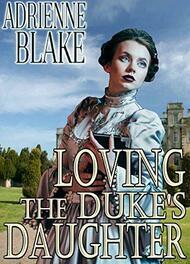 Loving the Duke's Daughter (Historical Romance) (The Wonderful Women of History Novels -- Book 1) She might be only a woman but she'll prove more worthy than any son of the realm.Jane Cavendish has been the guardian of the treasures of Welbeck Abbey ever since her father fled the battlefield in disgrace. Now she's left alone to care for her two younger sisters and to protect the priceless Van Dycks the Abbey has in its collection. While the rest of the country is torn in two by the raging civil war, she is pushed to her limits by Cromwell's men. And it's not just the Van Dycks they're after - a reputed beauty, Jane will have to fight as hard for her honor and the safety of her sisters. Powerless to support herself and her sisters without help, Jane has no choice but to tolerate a man she despises. Richard Baldwin was appointed their guardian by her father, but he has chosen not to fight for his country. But nothing is as it seems - and she soon learns that no man can be fully trusted, not even one who claims to have fallen in love with her. Loving the Duke's Daughter (The Wonderful Women of History Novels -- Book 1) is a feel-good historical romance with a very happy ending and is loosely based on real events. There are mild sexual references. If such material offends you, please don't buy this book.